Happy International Day of Persons with Disabilities everyone! 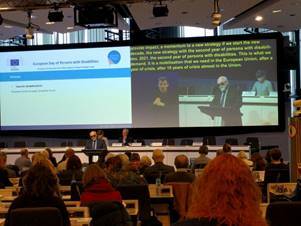 A St. Lazarus Foundation delegation attended a number of events in Brussels related to the celebration of the European Days of Persons with Disabilities. 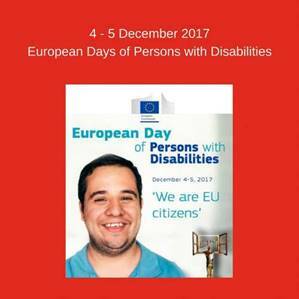 These included the European Days of Persons with Disabilities (4-5 December), a public hearing on forced sterilization (5 December), the 4th European Parliament of Persons with Disabilities (6 December), and other conferences organised by the European Commission, the European Disability Forum and other civil society EU pillars with which the Foundation is actively linked. 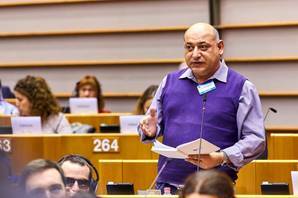 The Foundation's Chairman and Grand Chancellor of the Order, Dr. Massimo Ellul, addressed the European Parliament on the issue of inclusivity for persons with disability and also addressed the EDF Conference in Brussels on the 4th of December, where he took to task the bureaucratic interpolation of EU structures which inevitably cause disability issues to be talked about but not acted upon within the EU institutions. Other members of the Order participated in these activities, including EDF President Yannis Vardakastanis GCMLJ and EASPD General Secretary Luc Zelderloo GCMLJ.